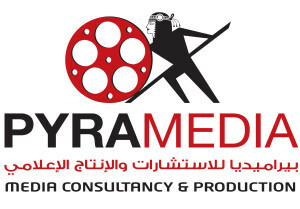 Pyramedia Group provides world class media services across a full spectrum of television/film production, events, public relations, marketing and advertising, making us the only company in the region with such a varied range of media services. Pyramedia Group is composed of subsidiary arms: PyraPublishing where we produce publications to the highest standards for maximum input with an incisive editorial style and distinctive and appealing layouts; PyraStars which is a leading casting agency in the region for Arab actors who are looking for roles in the international film market; PyraDocs which houses a specialized team of researchers and documentary production units to create cutting edge productions that vary in genre; PyraMovies which strives to fully support and nurture emerging Arab filmmaking talent and to promote a higher understanding of Arab Culture to the international community through film. Our team of in-house creative visualizers and designers are well experienced with creation of a brand identity, complete with all visual elements and materials. We transform ideas into iconic identities. Pyramedia Group is home to some of the most astute media planners and advertising professionals. Our team can seamlessly translate your brand’s communication objectives to a creative experience that grabs attention through carefully thought out media plans. Pyramedia Group consults with numerous government and private sector entities to plan and execute media strategies. Our team of consultants work with you on your annual plans or specific projects to develop a strategy that translates into success. Pyramedia Group’s communications center includes seasoned professionals in the field of Public Relations. The press center at Pyramedia specializes in publicity and promotions across Print, Television, Radio, Digital and Social media. We develop innovative, technology driven world-class productions to build digital experiences that entertain and inform millions of viewers, such as: Million’s poet and Prince of poets. Our television productions have been telecast on some of the leading stations of the region including MBC, Abu Dhabi TV, Dubai TV, Al Mehwar TV to name a few. We also work with other production houses outside the region to place shows on channels in the Middle East. Our team of experts has worked on a variety of special documentaries, feature films and fillers in the region. The scope of our work covered the whole spectrum of production – from scripting to post production and planning the promotions. Son of Babylon, Guarding the Coast, The story of an Arab lady and 5 minutes with Ali Al Saloom are some of our productions that have won popular acclaim. Pyramedia Group provides you with a wide array of human and technical support services unrivalled in the region. Our qualified crew can help you conceptualize, design, source and execute set designs, lighting, video, audio and display technologies. One of the leading post-production facilities in the region, our studios are well equipped to accommodate the most specific of requests and deliver creative masterpieces. Production of the popular television Poetry show to be one of the largest programs in the Arab world. The challenge was to highlight the poetry, reviving it and expand it in the Arab world for different nationalities and cultures. Additionally, presenting it with a modern style using the latest technology. The show was a great success for Pyramedia Group, spanning 7 seasons and was followed by millions of viewers in the Arab world and was able to reap the most powerful awards on a local and regional level. A captivating two-hour morning show, Sabah Al Dar is a blend of lifestyles, social issues and news related infotainment. One of the most popular shows in the UAE, it is also a source of information on the weather, traffic, important announcements and a guide to events and activities in the Emirates. Still on air, Pyramedia Group developed the format, launched and produced it for two seasons. A talent competition where hundreds of classical Arabic poets from across the Arab World compete for a grand prize of 1 million dirhams and the title of the Prince of Poets. The award winning format was developed by Pyramedia Group on behalf of the Abu Dhabi Authority for Culture and Heritage in 2006 and Pyramedia Group produced Seasons 1 through 6. Over that period, the program has been selected and broadcast on 4 satellite channels in the region. Create ideas to film 60 short videos that combine speed, comfort and explanation for 60 recipes that can be used with the Fresh Cream.